As the only part of your vehicle that actually comes in contact with the road, your tires have an infinite level of importance. However, purchasing tires for your car can be relatively expensive. As a result, several car owners try to save a few bucks and only replace the tire in the dire straits. Contrary to popular belief, this attempt to save a few bucks may actually cost you much more in the long run. The following information explains a few reasons why it's best to purchase and replace two tires instead of just one. 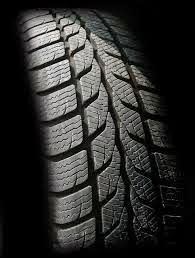 As tires wear on your car, truck, or SUV, they become smaller over time because the rubber wears away. This is why most manufacturers suggest that you rotate your tires every 5,000 miles for even wear on all four tires. In the event one tire fails and must be replaced, one tire is typically larger than the old tire on the opposite side of the axle. This problem commonly leads to handling problems because the larger and newer tire travels a further distance than the smaller tire. The most common end result is for the vehicle to pull to one side. In the event one of your tires fails for any other reason than impact or puncture, the other tire probably has a defect as well. Although this may not be the case, do you really want to take that chance considering the infinite value placed on your tires? Simply put, it's much better to replace both tires on the axle. If you drive in any situation besides ideal conditions, it's best to replace at least two tires instead of on your vehicle. If you choose to only replace one tire, the newer tires with deeper treads will undoubtedly get better traction. While the newer tire gets better traction, the other older tire with less traction may spin freely, preventing your vehicle from moving forward properly. If your vehicle is equipped with limited slip differential, both of the tires will have power being sent to the wheels. However, the wheel with the most traction will dig much more and cause the vehicle to pull to one side. If you have any questions or doubts about how you should handle replacing tires on your vehicles, don’t take any chances. Take your vehicle to the trusted dealers in the Olympia Auto Mall. They pride themselves on taking excellent care of your car and being the experts in new and used cars in Olympia.